In the short term, China is still a mess, and the reason is all but obvious. Greed and stupidity fuelled the bubble that popped back in July of this year. Some estimates put the number of individuals opening new accounts without high school diplomas at over 60%. Secondly, a large portion of these investors was playing the markets with borrowed money, otherwise known as trading on margin. Making matters worse to circumvent the limits placed by regular margin trading, many turned to the shadowy banking sector, where one could borrow up to ten times the value of one’s stock holding. When you couple Greed with stupidity, the result is always unpleasant. Since June, the Shanghai index has shed more than 40% and the government has spent over $200 billion trying to stabilise the markets. While the markets are trading off their lows, we are not sure that this money was spent wisely as the charts are still indicating that the Shanghai index could still test its lows again. 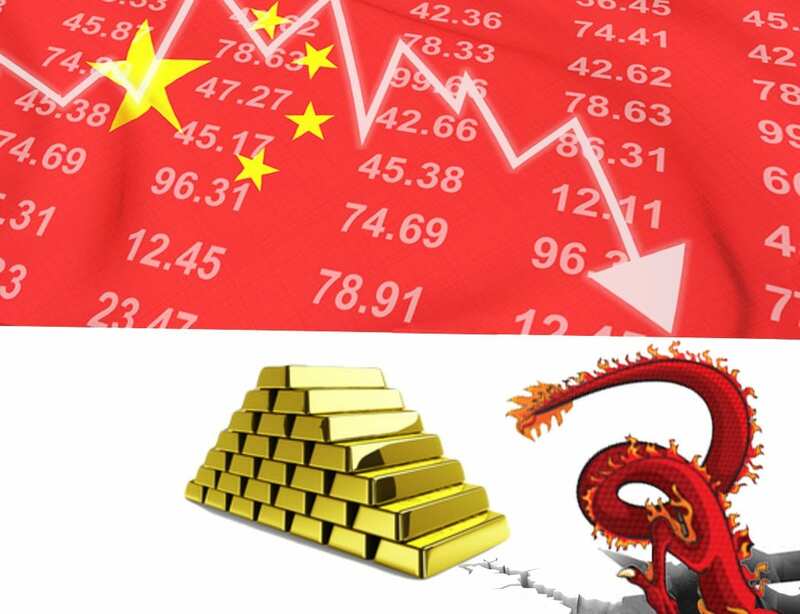 The Chinese economy is slowing down, and that is putting pressure on the markets. International investors are loathed to invest in an economy that is transitioning from export based economy to domestic one as the transition period is always difficult. In reality, from a contrarian point of view, that is precisely when one should, at least, start paying attention to the markets. After all, there were clear signs in the air that the market was going to crash. Mass psychology clearly dictates that one should be wary when the masses are jubilant and triumphant when the masses are suspicious. The masses were far from wary earlier this year. In fact, they thought that the markets would continue soaring to the moon. While the short-term story is messy, the long-term outlook is rosy. China has a 49% personal savings rate, putting all developed nations savings rates to shame. China’s Middle Class is still growing in leaps and bounds. There are over 109 million Chinese with savings over $50,000. While the middle class is getting decimated in America since 2000, twice as many Chinese as Americans have joined the ranks of the middle class in this period. China accounts for a fifth of the world’s population and holds about 10% of the global wealth. This figure is set to rise dramatically in the years to come. Lastly, the number of millionaires in China is also skyrocketing; China now has more than a million millionaires. These factors bode well for China going forward. 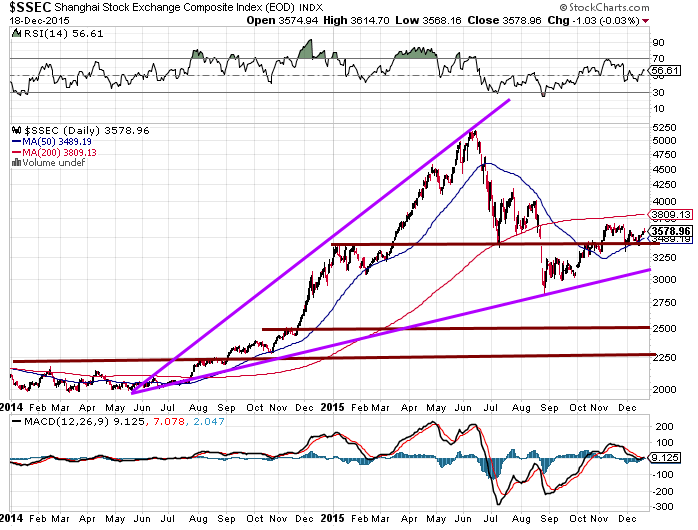 The Shanghai Index has rallied sharply from its lows and is attempting to find support in the 3400 ranges. However, there is still not enough fear in the air and as a result, we feel that a test of the 2500-2700 ranges is likely. If 3400 is taken out on a weekly basis, then a test of the 2700 ranges will be inevitable. From a long-term perspective, any level below 3000 makes for a good entry point. At this stage of the game, the astute investor would start compiling a list of stocks that he/she wants to get into, so when the opportunity arises, you will be ready to jump in. We are currently creating a list of stocks and as soon as our trend indicator generates a buy signal we will be prepared to jump in. This is the same trend indicator that had us get into the market from late 2013 to 2014 and out close to the top in June. We did not get out at the exact top, but based on our entry points we did not need to. Trying to time the exact top or bottom is an exercise in futility.